Democracy has been in practice for the past 16 years in Nigeria. Over time the growth of democracy has been marred by the general apathy of the people to politics. Politics has been termed as a dirty game with every eligible voter refusing to exercise his/her franchise. The Nigerian government has a long history of not being people-centred. Politics has long been seen as a gateway to wealth rather than to serve the people and make provisions for the betterment of their lives. 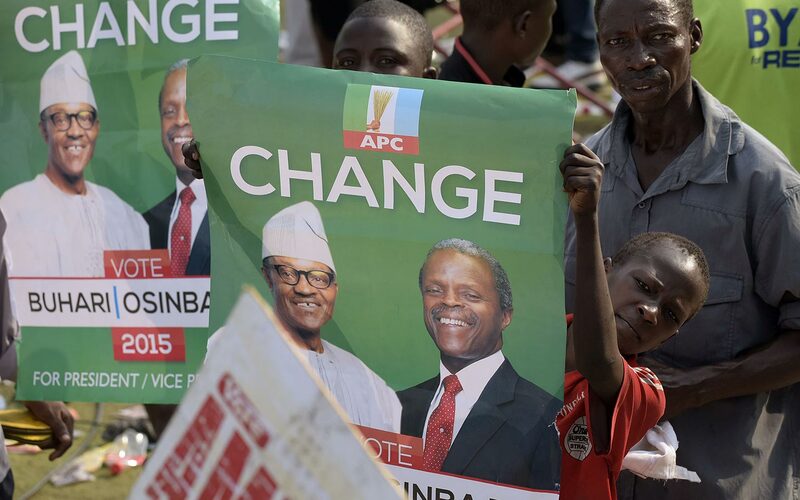 The recently concluded general elections in Nigeria took a new shape. The social media influence was massive. The social media came with a lot of ills too as simple issues were being blown out of proportion. It was also used as a major avenue to promote propaganda which was an effective tool used by the All Progressives Congress against the People's Democratic Party. The political atmosphere was intense with all manners of stories emanating from one angle to the other. A lot of intellectuals both home and abroad contributed their views in terms of articles which earned a substantial number of views. All these raised the consciousness of the people. This was likened to a Champions league final encounter with Professor Attahiru Jega standing as the referee in this game of clash of titans. The card reader machine was a great technology and innovation that helped to check rigging. It came with some demerits which the country was able to deal with. The fever of the just concluded general election will never be forgotten in the history of Nigeria due its record-breaking trends. There was never a time an opposition party amassed so much resources and support against the ruling party in Nigeria. There was never a time the social media made an impact in Nigerian politics. Nigerian politics was tackled at the grassroot level and not concretely from the media root. There was never a time an opposition party in Nigeria defeated an incumbent administration at the central level. It also marked the first trend of politicians calling their opponents to congratulate them before the official announcement is made by the Independent National Electoral Commission. (INEC). This was a remarkable sign of peace. An aberration to the times of opposing thugs bracing up to cause mayhem at the announcement of election results. There used to be a time where elections were just in name only. The outcome was always already decided by some powerful godfathers in the state. The 2015 general elections changed everything. It restored the faith of the people in the ballot box. It restored the dignity and respect of the ballot box. Subjectively, we can say PDP spent more money than APC if the 2 trillion naira reportedly spent by President Goodluck Jonathan for campaign is true (PUNCH). APC exploited more of ideas and strategies of orientation which ensured their success in 18 states. The one million man match in Lagos raised the tempo of the electioneering campaign, General Muhammadu Buhari's speech at Chatham house in London was another amazing strategy. The party's decision to pick a pastor as Buhari's running mate was another excellent move. Professor Yemi Osinbajo pastors one of the biggest christian circles in Nigeria which is the Redeemed Christian Church, his knowledge of Nigerian politics helped and nominating him facilitated Buhari's victory in the south-west filled with the Yorubas which Osinbajo hails from. We hope the country builds on this. The 2015 general elections weren't perfect; there still loopholes to be fixed. The country has set a good foundation to build on and in the next four years, the culture of money politics being practised in Nigeria will begin to wane. The electorates are getting wiser. They have realized electoral bribery is a trap to them and it ushers in anti-people leaders.